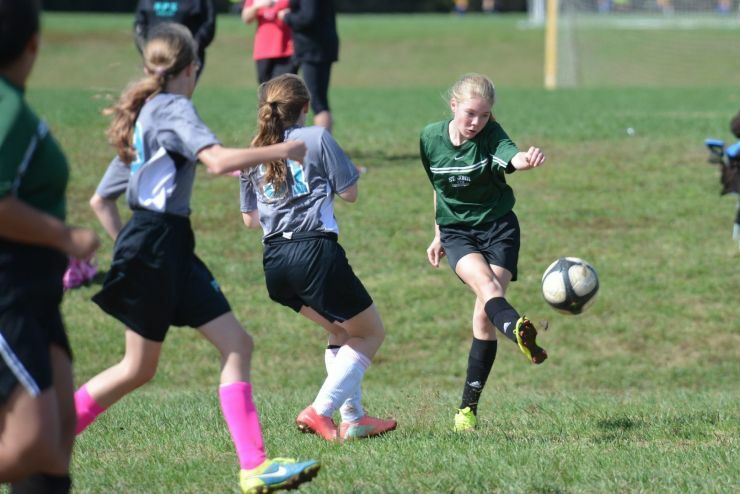 Many of our students participate in athletics through the Catholic Youth Organization (CYO). 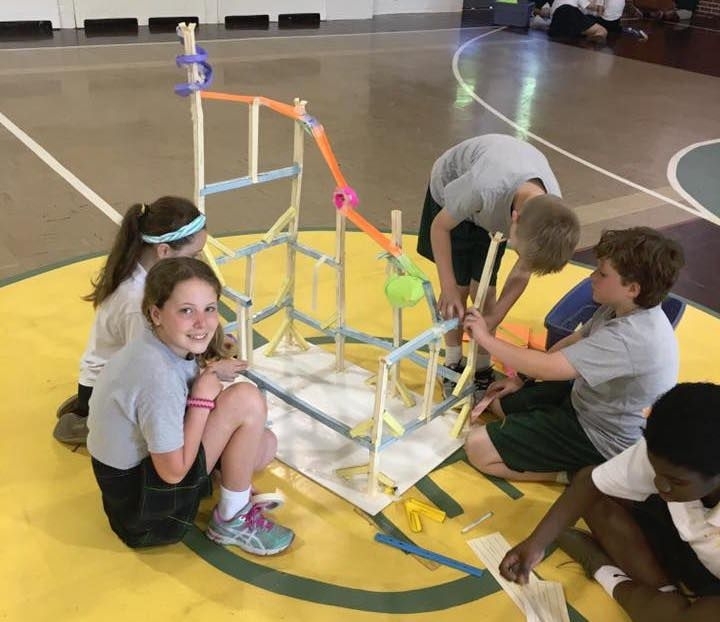 St. John the Evangelist has a thriving CYO program that is improving the health and happiness of the students and community. Beginning in kindergarten and continuing through grade 8, boys and girls can get moving, learn good sportsmanship, and have a wonderful time. 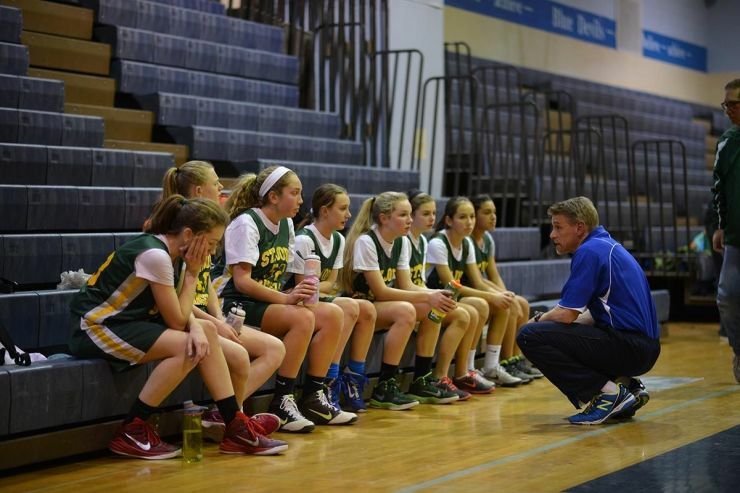 CYO also increases the camaraderie of students, parents, and coaches through interaction outside the classroom. 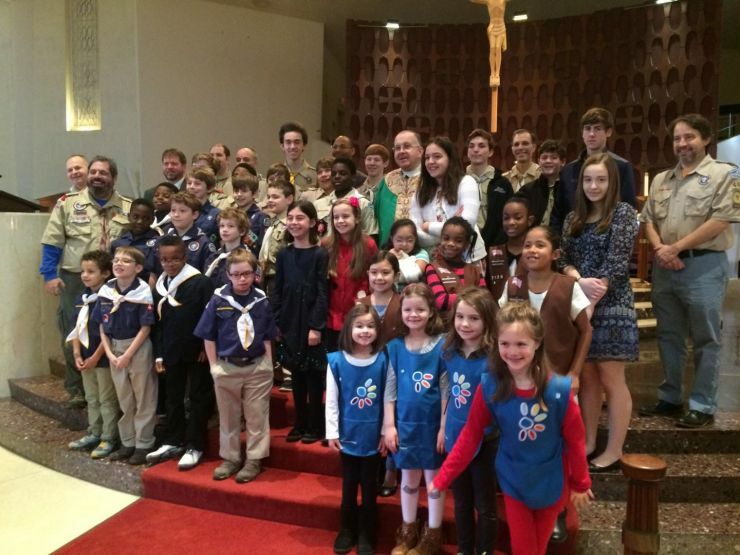 St. John the Evangelist's CYO program is a parish organization. The CYO seeks to create a safe and healthy environment for the children of the St. John's community to grow as Christians through our sports program. Through the efforts of dedicated adults (CYO Board members, coaches, and adult volunteers), children develop the athletic virtues of teamwork, self- discipline, good sportsmanship, and competitiveness in a positive, Catholic environment. 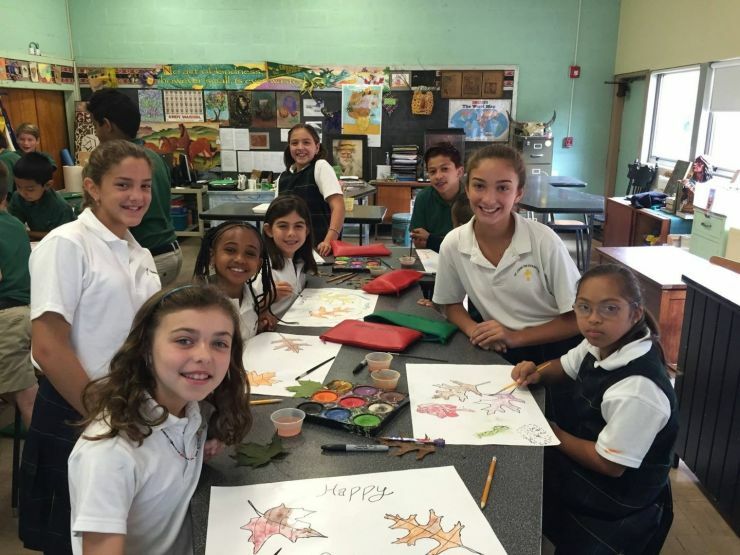 Art Horizons is an after-school art enrichment program that is taught at St. John the Evangelist School. It is open to students in grades 1-8 and runs in six-week sessions. The class meets every Tuesday after school from 3:00-4:30 throughout the school year. Summer camps are also available at a variety of locations. The cost is $85 for a six-week session and all materials are included. Art Horizons is a great way to further involve students in the arts. All levels of artists are welcome, from beginners to more advanced students. Students work at their own pace and will enjoy working with various media that include clay, pastel, water color, tempera, and papier-mâché. Often, brief discussions of art history are tied to the various projects. Art Horizons students also will enjoy exhibiting their work at places such as community libraries. An interest in art and having fun is all that is needed to join Art Horizons! For more information, please contact Stephanie Rico at arthorizons1@gmail.com. St. John the Evangelist School’s award-winning band includes a beginner band and an advanced band. Students playing an instrument (flute, clarinet, bass clarinet, saxophone, trumpet, baritone, trombone, tuba, or percussion) for the first time will play in the Beginner Band. They are taught how to read music and technique on their particular instruments. Beginner Band performs at the school Christmas and Spring band concerts. Advanced Band consists of students who have been playing for two years or more (5th-8th graders). In addition to the Christmas and Spring band concerts, Advanced Band also participates in the Archdiocesan Band Festival each spring. This is an adjudicated event for about 30 bands throughout Montgomery County and Washington, DC. St. John the Evangelist’s Advanced Band has received a Superior rating (the highest ranking) for the past six years. In 2008 and again in 2017, we were named top band in the Band Festival. Advanced Band students, who also may participate in the Archdiocesan Band camp in June and July, have the opportunity to represent our school at the Archdiocesan Honors Band in the spring. 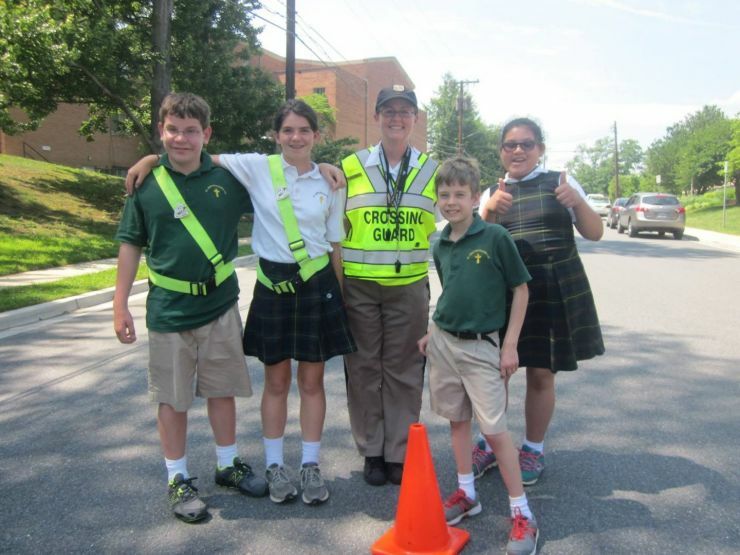 St. John the Evangelist students in grade 6 may participate in the Montgomery County Safety Patrol program. Our safety patrols assist the crossing guards in the morning to ensure that students have a safe environment walking to school. The patrols also assist the teachers during school dismissal to ensure all remain safe. 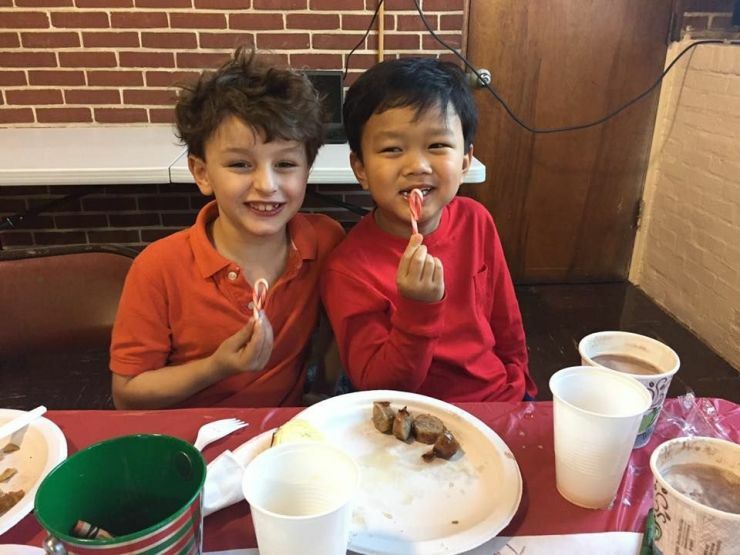 St. John the Evangelist School students have the opportunity to participate in either Boy Scout Troop 466 or one of the Girl Scout troops for grades 1-8. The Boy Scouts emphasize development of skills in service, safety, leadership, and outdoor activities. Recruitment of new members emphasizes "briding" of Cub Scouts from our very active Pack 466, but boys of all ages, with or without a Scouting background, are encouraged to join. The Girl Scout troops provide opportunities for community service, promote teamwork and friendship, participate in camping outings, and explore the girls’ interests, skills, and talents. Students in grades 4 through 8 may serve on Student Council. Elected officers and representatives participate in monthly meetings. Student Council offers students the opportunity to further develop their leadership, teamwork, and problem-solving skills. Our Student Council places an emphasis on student government as an experience in democracy. Student Council provides an opportunity to apply classroom lessons to real life and teaches the essential skills of critical thinking and responsible decision-making. Student Council participation also encourages social awareness and motivates community service. Inspiring students to serve others through community service activities. Our students put ideals into action through a variety of service projects and fundraisers dedicated to helping others within our community. 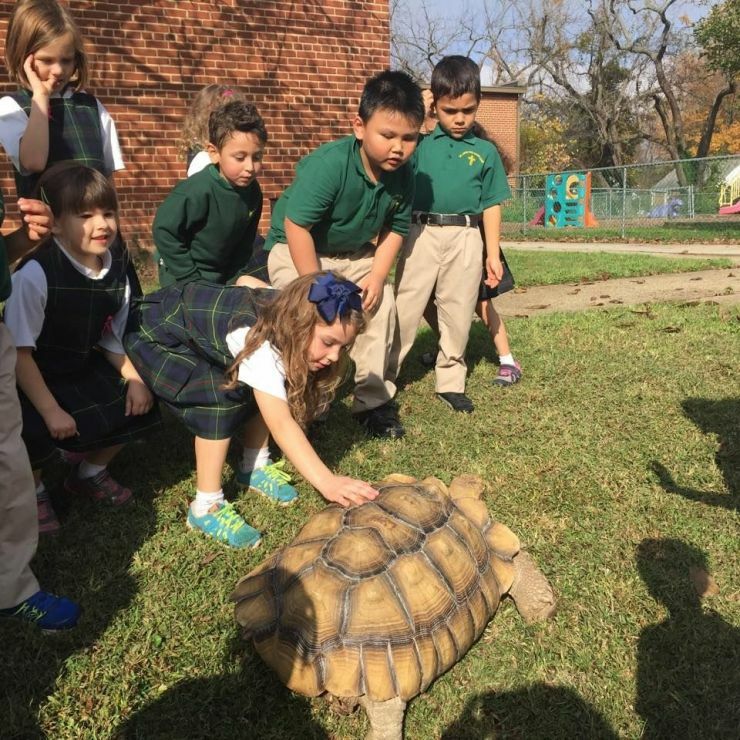 Science Club – The SJE Science club offers students in grades 4-8 hands-on experience to further explore Science. The objective is for our youth to emerge from the program with greater confidence in their problem-solving abilities and a better understanding of the scientific method. We conduct experiments and projects in which students learn to work together to come up with ideas to solve problems on their own. Past projects include planning a Mars Mission and how to set up a base on Mars, exploring how acids and bases work, and building recycled cars and paper roller coasters. Girls on the Run® - Girls on the Run inspires girls to take charge of their lives and define the future on their terms. 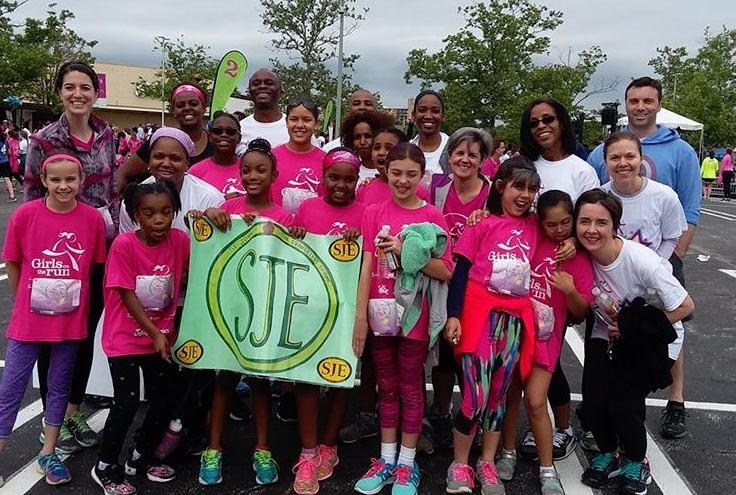 The curriculum is taught by certified Girls on the Run® coaches and includes three parts: understanding ourselves, valuing relationships and teamwork, and understanding how we connect with and shape the world at large. At each season's conclusion, the girls and their running buddies complete a 5K event. Math Club - Middle school students may participate. During Math Club students learn new types of math in addition to using previously learned skills to solve fun and challenging problems. 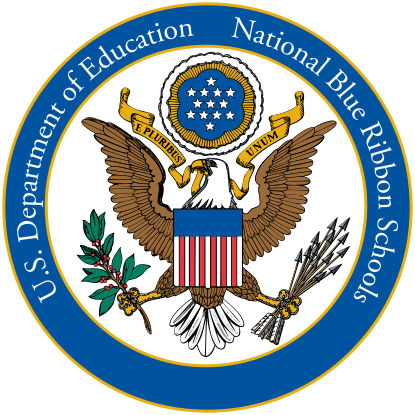 Academic Teams – Coached by Middle School teachers, the team competes in area Academic competitions. 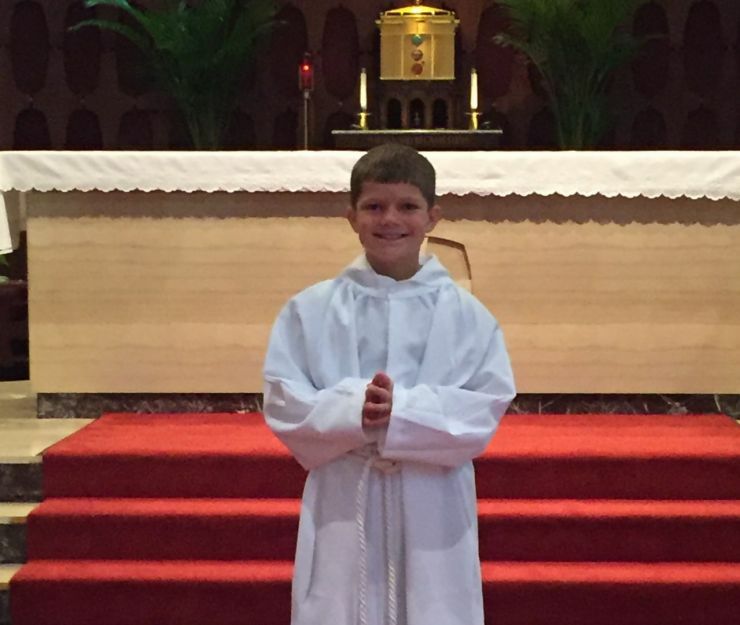 Altar Servers – Students in grades 4-8 may train as altar servers and participate in liturgies during the school year and on Sundays.